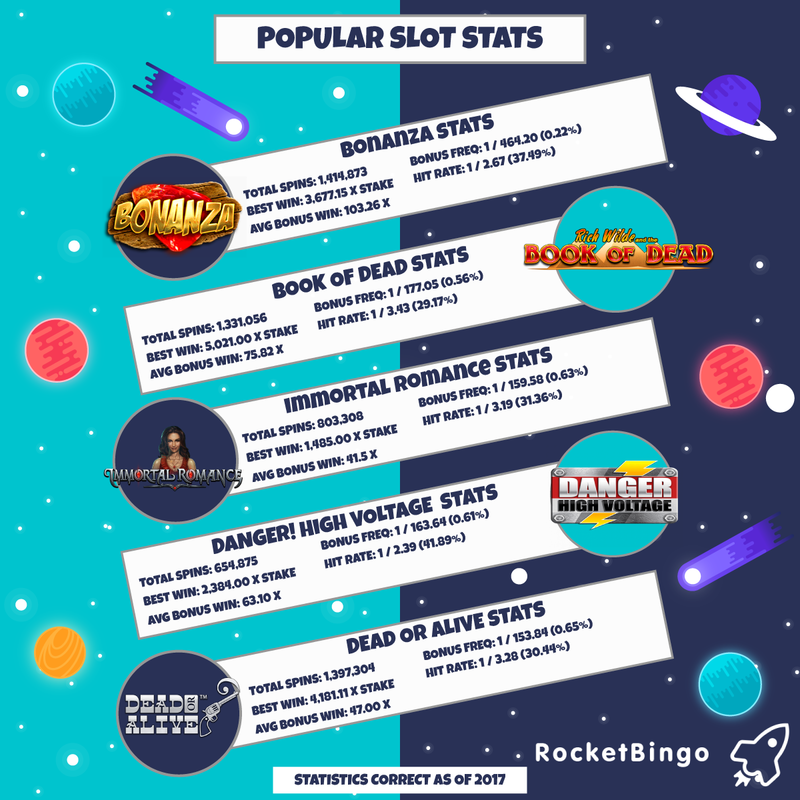 If you fancy getting the most bang for your buck when you play slots, then you might do your research into the statistics, after all it's a game of numbers. With so many of these numbers to think about, we’re here to tell you all about the statistics that will make the biggest difference to your gaming time. This is a simple statistic that you can check out in order to find out how often the machine will pay out. This will tell you how many times out of 100 it will pay out. This is regardless of your wager, just the basics of the game. If you want to quickly assess how often you can expect to win on a slot, without getting too complex this is the statistic to look for. The frequency of the bonus feature, or features as the case may be, is also important to your gameplay. If you want to look for games that can bring you free spins and side games, then you should be looking at this figure. The higher it is, the more likely you will be to be able to hit these features. These naturally can be quite low, as a bonus round should still be a bit of a challenge to unlock. If you want to follow the crowd, then you might want to play on the most popular games. Looking at the overall total spins will show you which games have real staying power. This won’t show you the number of players using the game, it will just show you the raw information on which games are the most popular. This is a good statistic to watch out for if you want something to aspire to when you’re spinning the reels. The highest win on a game can usually be seen in the paytable, but if you want to know what has actually been won, this is a better statistic to look into. While a massive jackpot might be possible, it may be unlikely enough that it’s never been won. Take a look at this and compare it to the top jackpot of the game before you make your decision. A bonus round might look flashy, but can it really reward you? This is the statistic that will tell you whether that’s the case. The average bonus win will help you out with information on the kind of jackpot that you can expect from a bonus round. Your individual jackpot might vary and be higher or lower than this average. This can change with your wager and the game that you’re playing. If you want to do your research on this information before you play, then you can look towards the slot game itself to find out. You can find a lot of great information in the game, by expanding the help or information section. This is usually separate from the paytable, in most games you can open this up by hitting the question mark or help button. In this section, you’ll find loads of information, from the version of the game to the information above. Arm yourself with this data and you’ll be much better placed to be able to pick the right slot to actually wager your cash on. So what are you waiting for? Head over to our lobby and get using your newfound knowledge to pick a slot.